One thing – I’m a bass player, and the guitar is still a mystery for me. And I paid more attention to meters and levels than to playing… In all samples it’s not about what and how I play, or even how it sounds, there is only the signal level what matters. Ready? Let’s go! 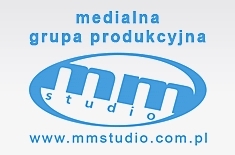 Wpis opublikowany w English, Re-amping i otagowany amp simulation, bass, di-box, guitar, guitar recording, linia, re-amping, reamping, recording 06/09/2012 przez nagrywamy. Wpis opublikowany w English, Re-amping i otagowany amp simulation, bass, di-box, direct, guitar, guitar recording, re-amping, reamping, recording 04/09/2012 przez nagrywamy. Prices and quality of plug-ins that simulate guitar amps just force you to record guitar at home, on your headphones, without disturbing anyone. We use the plug-in, and at the same time did not close the possibility to „the real thing” – recorded tracks can be easily processed in the recording studio with your choice of amplifiers, speakers and microphones, with any preamplifier. Time (and money) gained on working at home can be used in the studio, trying different amplifier settings and microphones. 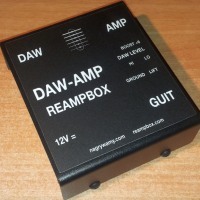 However, if you plan to re-amp your tracks, you have to record them well. Wpis opublikowany w English, Re-amping i otagowany amp simulation, bass, di-box, direct, guitar, guitar recording, re-amping, reamping, recording 03/09/2012 przez nagrywamy.